OXFORD — Two unidentified individuals were taken to a hospital after a car accident on Sunday evening on Sutton Avenue. 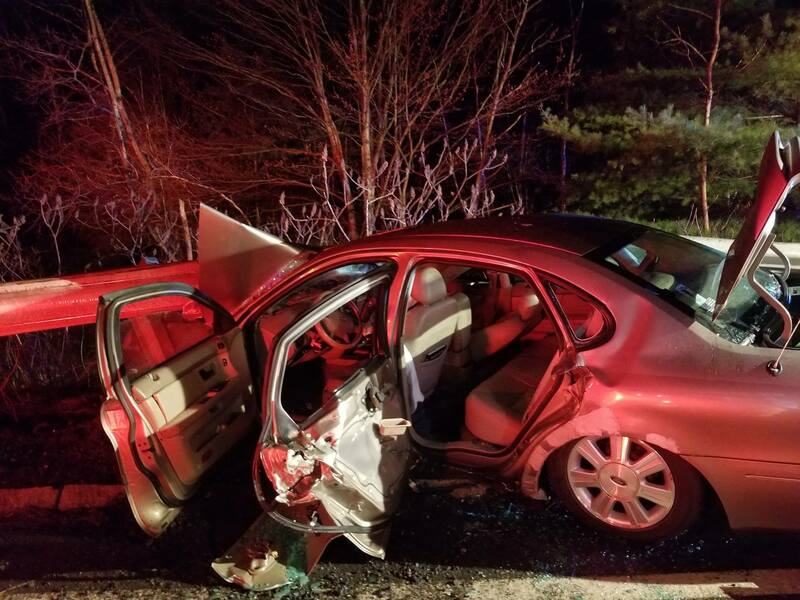 According to Oxford Fire-EMS, the single vehicle accident occurred around 8:30 p.m., with the “heavily damaged” Ford Taurus being discovered on Depot Road. The sedan was stuck under a guard rail, officials said, with one occupant trapped inside. The other occupant had been able to get out of the vehicle. Oxford Fire-EMS, Oxford Police, and Massachusetts State Police responded to the scene. The guard rail had to be removed in order to remove the vehicle, and the Massachusetts Department of Transportation has been contacted to repair the guard rail.